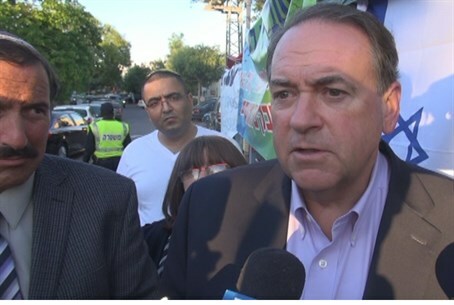 Mike Huckabee – television host, former Arkansas governor and former Republican presidential primary candidate – landed in Israel Sunday and went directly to visit the Frenkel family, whose son, Naftali, has been abducted by Hamas. He said he had come to show solidarity with the Frenkel family, and noted that Naftali Frenkel is an American citizen. “We recognize this is an incredibly sensitive and difficult circumstance on the ground, and we feel all sides should exercise restraint,” State Department spokesperson Jen Psaki stated at a press conference on Wednesday.